I stayed in the Mekong Delta several times. Its beauty is simply enchanting! I made this work in the coastal town of Sông Đốc, in Cà Mau province. Vietnamese consider this place the “southern tail” of the country. Most there earn their living as fishermen. 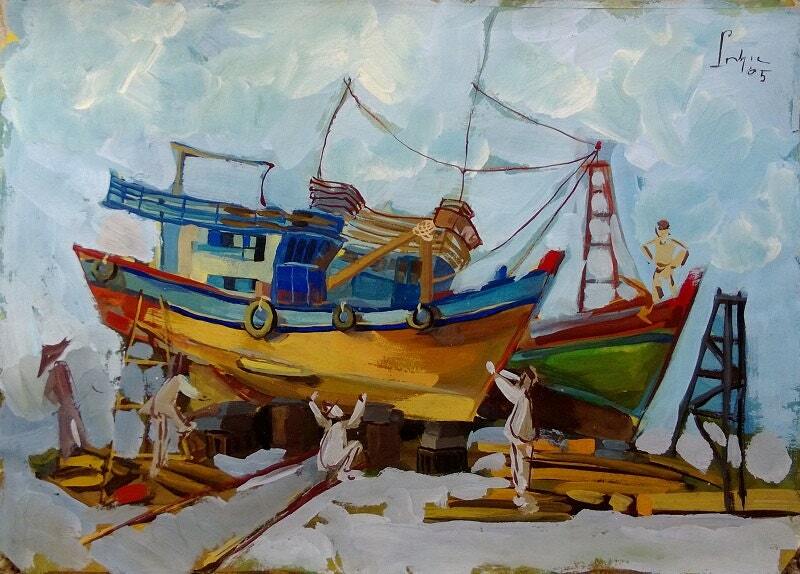 Each day I sat in the shipyard drawing, painting, and watching the locals at work.